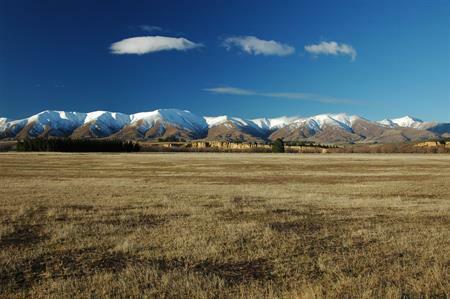 The Central Otago district has a unique and interesting economy. While rural or primary industries such as pastoral farming and fruit growing provide the backbone, Central Otago has become a fashionable place to live and visit. This means that newer industries such as viticulture and tourism are playing an increasing part in local development, while service industries such as construction and business services have grown considerably. These industries, as well as supporting infrastructure, are increasingly acting as buffers to external factors such as commodity prices and exchange rates which, in turn, have historically lead to boom – bust cycles in the local economy. A stable agricultural base supporting increasingly diversified businesses. Service and tourism businesses have seen significant growth. Central Otago is not of course immune to what happens elsewhere. The protracted Global Financial Crisis (GFC) recession made its mark here but the local economy has since recovered well and over the last few years has experienced strong growth across all key indicators, which has generally been well in excess of both the Otago regional and New Zealand national performance. If you are interested in more information please download a copy of the latest BERL Otago Economic Profile of the Central Otago District, which can be found HERE. 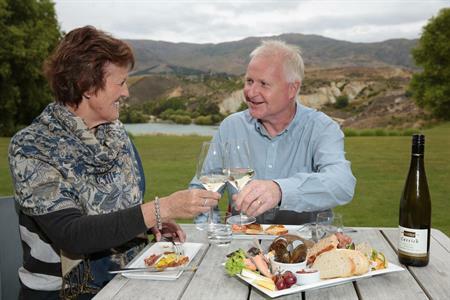 Gross Domestic Product (GDP) or the value of goods and services produced in Central Otago has grown 36% over the last decade from $917 million in 2005 to $1,243 million in 2015. Key GDP contributing sectors are: primary production (including agriculture, horticulture and viticulture); business services; construction; and social services. There is low unemployment and high work force participation across the region, and there has been particularly strong employment growth over recent years. Over the last decade average employment growth has been 2.6% - twice the national average. The primary sector (including agriculture, horticulture and viticulture) is the backbone of the Central Otago economy generating 33.5 per cent of the district GDP and employing 32.5 per cent of the work force. Other major contributors to the district GDP are business services, construction and social services. The fastest growing industries over the ten years 2005 - 2015 have been administrative services (which is where labour supply, recruitment and other manpower-related activities are classified), fabricated metal product manufacturing, non-metallic mineral product manufacturing, and sport and recreation activities. Traffic congestion and motorway pile-ups are rare in Central Otago. The major transit routes are well designed and maintained to accommodate the increase in traffic flow that has occurred over the last five years. Central Otago business have been growing in average size as they have benefited from a decade of economic growth. Businesses are still relatively small compared to the rest of the country, employing on average 3.3 FTEs. Building activity in Central Otago is relatively buoyant. 771 consents valued at $84.8 million were issued during the 2014/15 year. During the 2013/14 year 795 consents valued at $75.7 million were issued. For the period July 2015 to March 2016 546 consents have been issued valued at $83.0 million. The house market is very buoyant in Central Otago, particularly Cromwell but also Alexandra. The Central Otago District Council regards access to ultra-fast broadband as key infrastructure and has made this one of the top economic development priorities for the district. The Central Otago community is receiving ultra-fast broadband via the Rural Broadband Initiative (wireless UFB) component of the Government's UFB programme. Roll-out is expected to be completed during the 2016 calendar year. Under the Ultra-fast Broadband 2 (UFB2), Rural Broadband Initiative 2 (RBI2) and Mobile Black Spot Fund (MBSF) extensions to the original ultra-fast broadband programme the Central Otago District Council has put in bids for fibre in the district's main towns and for the RBI to be extended to parts of the district that won't receive coverage under the original programme. Under the MBSF programme a joint bid has been developed with other Otago territorial authorities for key sections of the Otago state highway network to be provided with mobile phone coverage. 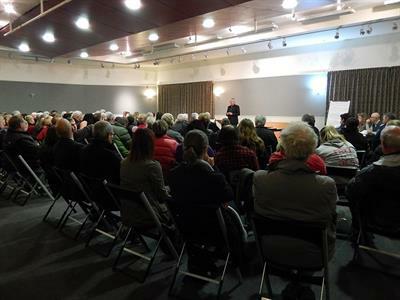 New investment is necessary for many possible new businesses in Central Otago to become reality and is actively sought. 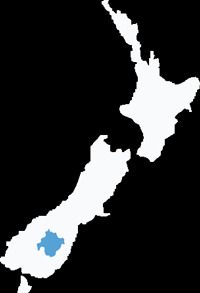 The Central Otago District Council has identified investment attraction as a key action point in its Economic and Business Development Strategy and opportunities for investment in the district are included in New Zealand Trade and Enterprises' Regional Investment Profile for Otago.